you when forget-me-nots have withered. Carve your name on hearts, not on marble. 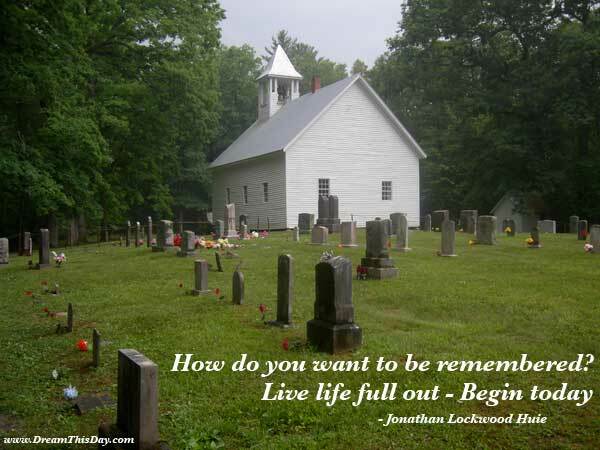 How do you want to be remembered? Live life full out - Begin today. It won't be there if you haven't done it. ahead of material success or "achievement." If you want to do it, do it - TODAY. What you do TODAY is what others will remember. Make today count.